Portable door safety devices are no strangers to PortAbout, given our last article on the DoorJammer (note, you’ll have to look for that on Amazon.com as SkyMall is no longer carrying it and is going to die soon anyway). However, given some poor reviews, perhaps an alternative of a different design is in order. 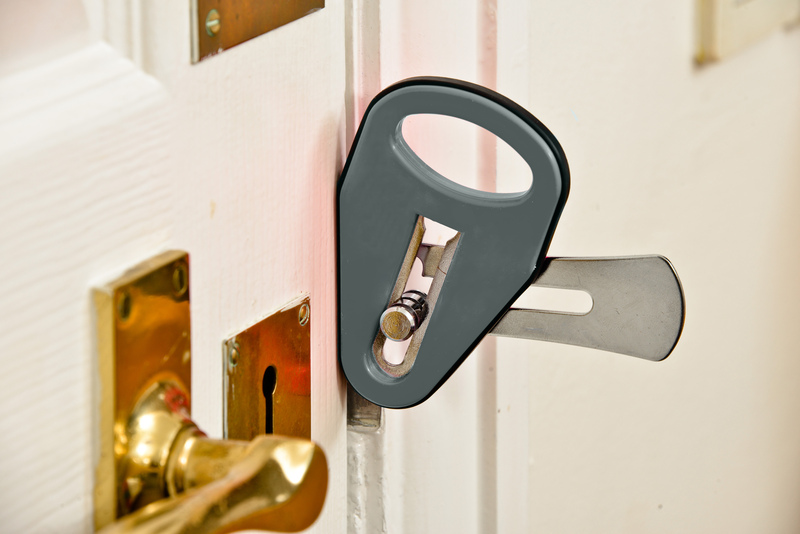 Hailing from the UK, the EasyLock can watch your back, or so the inventors of the Indiegogo-funded door-locking device claim. Pointing out that the keys to doors in hotels, B&Bs, and rented units have been used and passed on to customers many times over, and that you can’t change the locks as you become the next inhabitant, the EasyLock is set forth as your easy solution to this dilemma. 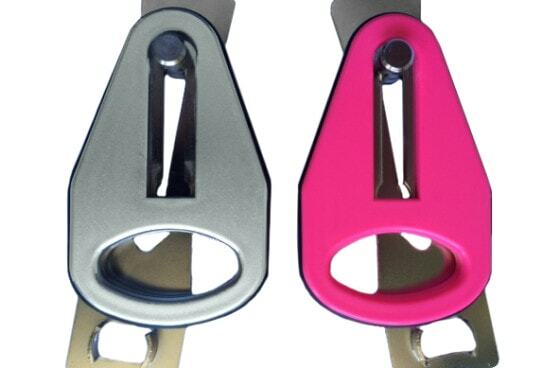 Made of steel, the EasyLock fits over your existing door latch plate on the non-hinged side of your door. Once you close your door and employ the existing locks, you can then reinforce those by moving the triangular piece into place, ensuring that it’ll take a hell of a lot more than any crook bargains on to get at you and your stuff. An additional feature not available with the DoorJammer is the ability to slide the triangular wedge piece back while leaving the rest of the mechanism in place, enabling the partial opening of the door, to confirm visitors, for instance. Of course, you have to be in the room to employ the EasyLock and fully secure your new cocoon of safety, and of course, there has to be enough space between the door end with the latch plate and the door jamb for this slim piece of hardware to fit between. Given that not all doors were created equal, be they sitting in hotels, homes, dorms, or what have you, these requirements might pose challenges that cannot be overcome. Therefore, this device may no more be the silver bullet of door reinforcement than is the DoorJammer. You might have to go shopping for the latter as well and buy them (and carry them) both in case one works for the door in question when the other one doesn’t. But alas, as one reviewer by the name of Mark R. Benton wrote on Amazon.com regarding the DoorJammer, it only works on doors that open inwards, not on those that open outwards. Unfortunately, this is the case for the EasyLock as well. And, well, if you’re staying at a Japanese honeycomb hotel, you can forget about using either of these – it’s a nonstarter. In any case, Add-A-Lock is yet another door security device in the spirit of the EasyLock that you might want to take a gander at, but like the DoorJammer, it appears to not allow for the partial opening of a door to accept the delivery of mail or top secret assassination orders. Hence, if this is key, the EasyLock stands alone among these devices. Oh yeah, and please remember something when using any of these devices to keep your frat-brat housemates out of your bedroom while you’re taking shots by yourself to build up your tolerance for the next fiesta: When you pass out with a lit cigarette in your mouth and end up setting your room (and the frat house) on fire, you’ll have made it a bit harder for the fire department to get to you. In that case, we hope your room has windows (and you’re on the main floor). Cheers!